Inside a nondescript industrial building, just outside of Los Angeles’ Chinatown neighborhood, Silver Snakes’ singer, songwriter and producer, Alex Estrada, sits at the helm of his Pale Moon Audio Studios, putting the finishing touches on the bands fourth proper full length, Death and the Moon, due May 3rd. The new album, the second for Claudio Sanchez’ EVIL INK RECORDS, follows 2017’s Scathe EP which saw the band leaning in a more electronic direction and featuring covers of acts who’d helped shape their current direction, such as Garbage and Ministry. 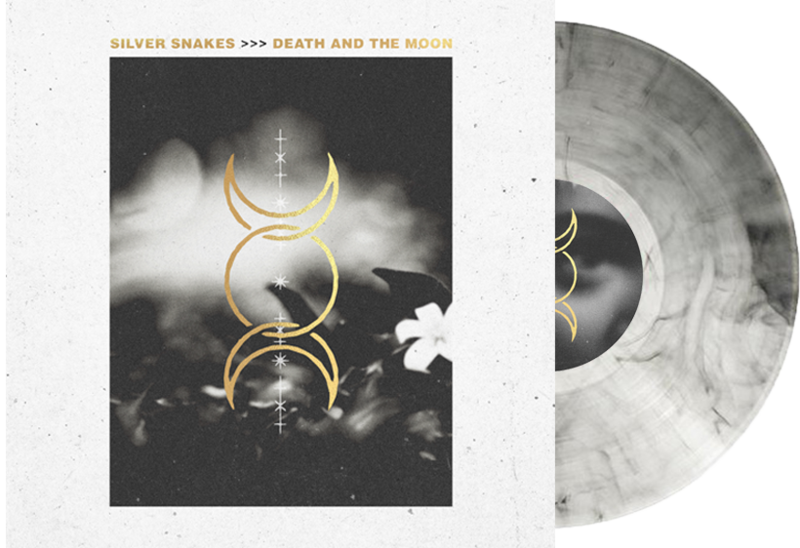 Death and the Moon expands upon that path, finding the band as much in the industrial space, as in the dark rock roots of previous full length, Saboteur. Lyrically, Death and the Moon follows in its predecessor’s footsteps, and one will certainly recognize similar guitar work but from the opening notes of track 1, “Smokedance,” you’ll immediately discover a synth hook and electronic beat. Appropriately, the band will take to the road with COMBICHRIST in April and May to celebrate the release of the new album.